This is a vigorous large fern, reaching a height of 120cm. The fronds are shiny and evergreen. The crown is large and imposing making this an excellent specimen fern. It is a sterile hybrid and can only be propagated from the bulbils this produces or tissue culture. 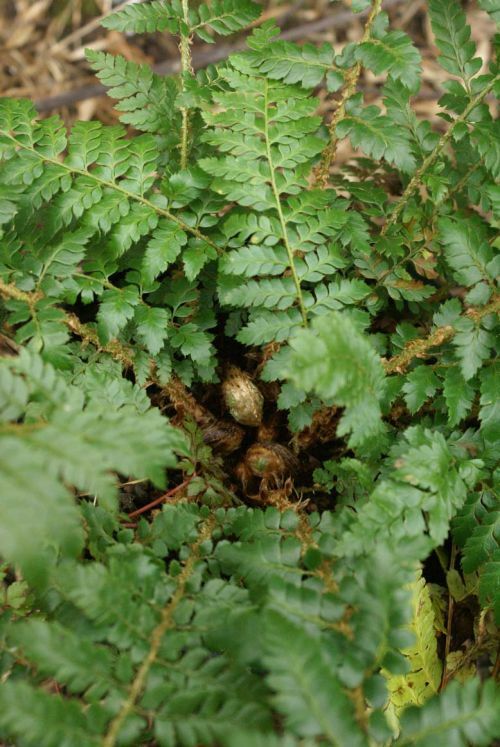 It is very easy to grow, being very adaptable, it is a great, bold fern for dry shade.